Anonymised patient information will also be used at local and national level to help the Health Board and Government plan services e.g. for diabetic care. What is the NHS Constitution? The Constitution sets out your rights as an NHS patient (and our responsibilities as service providers). These cover how patients access health services, the quality of care you will receive, the treatments and programmes available to you, confidentiality, information and your right to complain if things go wrong. The Constitution also sets out your responsibilities as a patient. At Bath Row Medical Practice, we reflect the principles of the NHS Constitution in the following ways. b) We will try to offer appointments at a range of times, including some e for those registered patients who cannot come to the Practice in working hours. c) We will provide you with a choice of GPs wherever possible. e) We will engage interpreter services for those who need them for their appointment with a doctor of nurse. 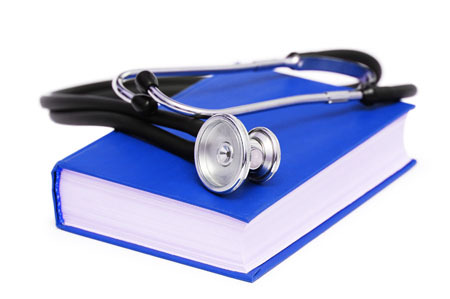 a) We will ensure that our doctors and nurses are fully trained and up to date in their knowledge. b) We will ensure that all our staff have opportunities to improve and update their knowledge and skills. d) We will work with local experts to ensure that the drugs we provide are safe and cost-effective. a) We will monitor standards of cleanliness in those parts of Attwood Green health centre that we, as a Practice, occupy. b) We will follow best practice guidance to minimise the risk of infection for staff and patients alike. a) We will maintain your confidentiality as a patient sad will not divulge information about you to others without your consent. c) We will not undertake any procedures or referrals without your consent. a) We will ask your views and opinions and give you information about alternative treatments available to you. b) We will invite your views on the way the Practice runs – any registered patients has the opportunity to join our Patient Reference Group, which works with us to monitor and improve the way we work. a) We welcome suggestions, compliments and complaints as we can learn from any and all of these. b) If things go wrong, we will be open and honest about our investigations to ex plain what went wrong, to apologise and to show you what we are doing to make sure the same mistake does not happen again. 1. We are here to help you keep fit and healthy, to help prevent you becoming ill and to look after you when you are sick but you need to be an active partner in this. We ask you to think about the choices you are making that may affect your long term health. We will always provide information to help you make these choices. 2. If you make an appointment to see one of our doctors or nurses do keep your appointment or cancel it. By simply not turning up you waste valuable NHS resources and stop another patient seeing the doctor. Each month, up to 200 patients fail to attend a booked appointment at Bath Row Medical Practice – that’s 200 wasted appointments at a cost of approximately £4,000! Please note that if you consistently waste appointments by failing to turn up we will ask you to register somewhere else. 3. Please work with us. Our systems are designed for your safety and to enable everyone to access services when they are needed. a) Do not leave it until the last minute to order repeat prescriptions – allow 48 hours and your prescription request will be turned around safely and efficiently. b) If you are unable to come to the surgery and need a home visit, please telephone before 10.30 am. c) Do not wait until late on Friday afternoon before deciding you need an urgent medical opinion for a problem. d) Please tell us if you move or change your phone number so that we can keep your health record up to date. e) Book your travel immunisations in plenty of time before you travel. f) Do remember to arrive on time for your appointment –the doctor may be delayed by a patient before you needing more than their allocated appointment time, but s/he will do his/her best to work to time and if you arrive late you may miss your ‘slot’ and have to re-book. 4. Please treat all our staff with respect. We will do the best we can to meet your health need with the resources available at that time but sometimes we cannot do exactly what you want when you want it or offer an individual service. Please do not shout at or abuse our staff – we work under the NHS ‘Zero Tolerance’ Policy and incidences of abuse or inappropriate behaviour may result in our asking you to register with another GP. 5. If we get something wrong do tell us in an appropriate way. Our clinical team try their hardest to provide you with up to date, quality health care and our administration team aim to provide a friendly and efficient service at all times. However, we are human and we often work under great pressure so things don’t always go as smoothly as you and we might hope. Please don’t just grumble or wait until things are so bad that you need to make a formal complaint – there are plenty of ways you can tell us about your experiences so that we can learn from them and put things right for you. We have a Suggestions Box in our Reception area and if you wish to speak to someone our Patient Services Manager (Steven Elliott) will be pleased to speak with you. If he is not immediately available he will be pleased to contact you by telephone as soon as possible if you leave a contact number. 6. Do let us know when we do things especially well! Everybody responds to compliments and it makes us feel good when we know we have been able to help you and you are pleased. There are compliment forms in Reception or you can log on to the NHS Choices website to compliment us for all to see. 7. Would you be interested in helping to shape local health services? We have a Patient Panel that meets monthly. The Panel acts as a voice for our patients, giving us feedback and advice on local and national ideas and plans for health service developments. We are especially keen to have some younger people on our Panel and for the views of our student patients to be represented. If you think you might be interested, please phone the Practice, look at our website or drop in and ask for details at Reception. Be involved with the care that BRMP provides for you. It's your practice - have your say! Please see the section on 'Patient Reference Group' for further details. The Data Protection Act 1998 gives every living person the right to apply for access to their health records or have factual errors corrected. Any request for access to health records must be made in writing on the relevant form obtained from the practice and sent to the Practice Director. Under the Data Protection Act 1998 (Fees and Miscellaneous Provisions) Regulations 2001, you will be charged to view or be provided with copies of your health records. A person appointed by a court when the patient is incapable of managing his own affairs. When a patient has died, an application for access to the medical records can only be accepted with the written permission of the patient's personal representative. That person will either be an executer of the estate or, if the patient died intestate, the administrator of the estate. Health records held totally on computer: up to a maximum £10 charge, unless the records have been added to in the last 40 days. Health records held manually: up to a maximum £10 charge, unless the records have been added to in the last 40 days. Health records held in part on computer and in part manually: a maximum of £10 unless the records have been added to in the last 40 days. Note: if a person wishes to view their health records and then wants to be provided with copies, the £10 maximum fee for viewing records would be included within the £50 maximum fee for copies of health records. Under the Data Protection Act 1998, there is no obligation to comply with an access request unless the practice has enough information to identify the applicant and locate the information and unless the required fee has been paid. You will therefore be asked to complete an application form. When coming to the surgery to view or collect a copy of the records you will be asked to provide a form of photographic identification such as a passport. Once the practice has all the relevant information and fee where relevant, we will comply with the request promptly, within 21 days and by no later than forty days after the request has been made. In exceptional circumstances if it is not possible to comply within the forty-day period you will be informed. A senior member of the Practice staff will be present when you view the records to assist you in understanding the information in the records. Should you feel that your have received outstanding service from the Practice and wish to compliment a particular member of staff or discipline, please feel free to do so. If it is at all possible we ask that you get the name or a description of the person you wish to compliment. Please ask to speak to the Reception Supervisor or the Patient Services Manager - they will take down details of your compliment and pass them on to the member of staff or service involved. Alternatively you can complete a compliment form (available in Reception) or write, giving as much detail as possible so we can identify the person/service. If you wish to compliment anonymously, please use the Suggestions Box which is located on the left hand side of the reception desk. The person or service complimented is always told and letters are put on our notice board for other members of staff to read. Compliments are lovely to receive and help to boost the morale of our staff which makes them realise that they are appreciated by you as well as the Practice. We treat all complaints seriously and are very happy to look into any matters you raise. This gives us an opportunity to reflect on the way we do things and to work continuously to improve services for you. Please raise any and all concerns with us in the first instance as sometimes things may not be as they seem and/or a problem can be sorted very quickly. Negative comments on public websites are very disheartening for staff and can be misleading to other patients as they are often inaccurate, unfair or do not fully describe what has happened. We hope that most of the time problems can be sorted quickly and to the satisfaction of you and the Practice without you having to make a formal complaint. A formal complaint takes time and minor issues are resolved more quickly if you can just speak to a person on site. If you want to make an informal complaint about the services you have received from the Doctors or the staff working at the Practice, please let us know. Please ask to speak to the Patient Services Manager. You will be invited to a quiet area and will be given the opportunity to express your views. Details of your complaint will be discussed with you. If possible and where appropriate, a way forward will be agreed. You will then be asked if you wish to take the matter through to the formal complaints procedure. Many problems can be resolved at this stage and do not require further action. If we are unable to deal with your problem to your satisfaction, or if you wish immediately to make your complaint a formal one, you should complete the Complaint Form which you will find by the Reception counter. We shall acknowledge your complaint within two working days and aim to have looked into your complaint within 10 working days of when you raise it with us. We will then be in a position to offer you an explanation or meeting with the people concerned. Please note that we keep strictly to the rules of medical confidentiality. If you are complaining on behalf of someone else, we have to know that you have their permission to do so. A signature from the patient on the complaint form will be needed. A leaflet explaining what the NHS Complaints Advocacy can assist you with is available here. More information about the NHS Complaints Procedure, including information on how to make a complaint can be found on the NHS Choices website. We take pride in being a training practice. We are involved in training GP registrars, medical and nursing students, and students on work experience. Your consent will be requested before you are seen or examined by a student. This is an important and invaluable learning process for the students but you are entitled to refuse to have a student attend your consultation with a clinician without your care being compromised. If once you have said 'Yes‘ you feel you do not want a student to observe, you can withdraw your consent at any time by informing a BRMP member. This will not affect your care in any way. For the purpose of applicable data protection legislation (including but not limited to the General Data Protection Regulation (Regulation (EU) 2016/679) (the "GDPR"), and the Data Protection Act 2018 (currently in Bill format before Parliament) the practice responsible for your personal data is Bath Row Medical Practice. Bath Row Medical Practice will be what’s known as the ‘Controller’ of the personal data you provide to us. 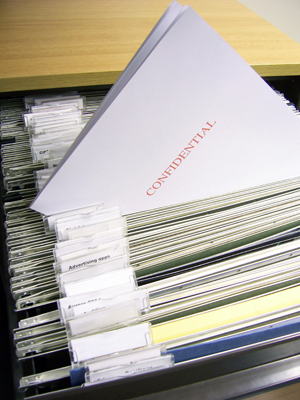 NHS health records may be electronic, on paper or a mixture of both, and we use a combination of working practices and technology to ensure that your information is kept confidential and secure. All employees and sub-contractors engaged by our practice are asked to sign a confidentiality agreement. The practice will, if required, sign a separate confidentiality agreement if the client deems it necessary. If a sub-contractor acts as a data processor for Bath Row Medical Practice an appropriate contract (art 24-28) will be established for the processing of your information. In certain circumstances you may have the right to withdraw your consent to the processing of data. Please contact the Data Protection Officer in writing if you wish to withdraw your consent. In some circumstances we may need to store your data after your consent has been withdrawn to comply with a legislative requirement. At any stage where we would like to use your data for anything other than the specified purposes and where there is no lawful requirement for us to share or process your data, we will ensure that you have the ability to consent and opt out prior to any data processing taking place. This information is not shared with third parties or used for any marketing and you can unsubscribe at any time via phone, email or by informing the practice DPO as below. We may also use external companies to process personal information, such as for archiving purposes. These companies are bound by contractual agreements to ensure information is kept confidential and secure. All employees and sub-contractors engaged by our practice are asked to sign a confidentiality agreement. If a sub-contractor acts as a data processor for Bath Row Medical Practice an appropriate contract (art 24-28) will be established for the processing of your information. We are required under UK law to keep your information and data for the full retention periods as specified by the NHS Records management code of practice for health and social care and national archives requirements. How can you access, amend, move the personal data that you have given to us? You should tell us so that we can update our records please contact the Practice or fill in the "update your details" form on the website as soon as any of your details change, this is especially important for changes of address or contact details (such as your mobile phone number), the practice will from time to time ask you to confirm that the information we currently hold is accurate and up-to-date. Should you have any concerns about how your information is managed at the Practice, please contact the Practice Manager or the Data Protection Officer. If you are still unhappy following a review by the Practice, you have a right to lodge a complaint with a supervisory authority: You have a right to complain to the UK supervisory Authority as below.